From the individual level to government levels, our trust, hopes and fears seem to be misplaced. The hopes and fears of Muslim nations lie in NATO and The West more than in Allah. Individuals place their trust in jobs, families, education and governments more than in Allah. This is a clear sign that the shahadah has not taken root either at the individual or community level. For the slightest problem we turn to other than Allah for help despite them being feeble and weak. This is in contrast to people mentioned in the Qur'an in whose lives the shahadah had taken root. What is it about the shahadah that they knew and understood that we do not know or understand? Why is their attitude to the shahadah different to ours? How can we develop that attitude and understanding of the shahadah? 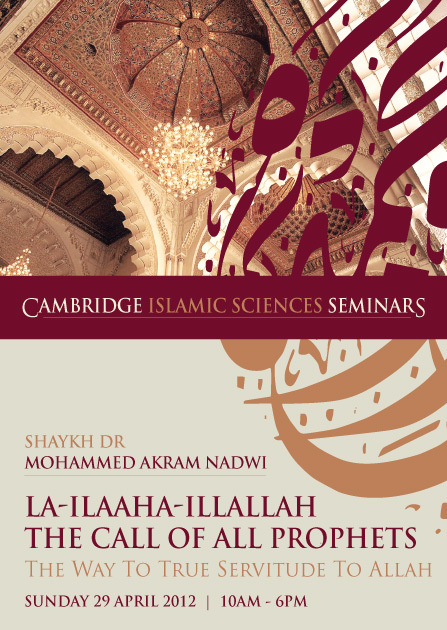 This is the last opportunity to register for a life-changing seminar tomorrow, to have the power and secrets of the shahadah revealed by one of the foremost Islamic scholars in the western world.